The K-2 Partners team has a vast amount of operational experience in all sectors of the Document and Information Management (DIM) spectrum. This comes from many years of starting, running, innovating and perfecting records and data center, shredding and ancillary DIM industry operations around the world. As senior executives leading the largest operators in the world, there is not much that we don’t know about these businesses. We have developed operating systems, pioneered technologies, optimized routing efficiencies and bought or sold more DIM industry businesses than anyone. We understand what makes the business tick as well as most of the pitfalls to avoid. We have worked with business owners and industry suppliers alike. We regularly undertake consulting assignments, helping industry owners improve their business or prepare it for sale. We help financial investors understand the business, develop roll-up strategies and structure creative deals. We advise buyers how to integrate acquisitions and maximize their investment. Most importantly, we represent industry owners selling their business and ensure that they achieve maximum returns for their hard work and investment. At K-2 Partners, we are long-term supporters of all sectors of the DIM industry and active through associations such as PRISM, NAID and AIIM. 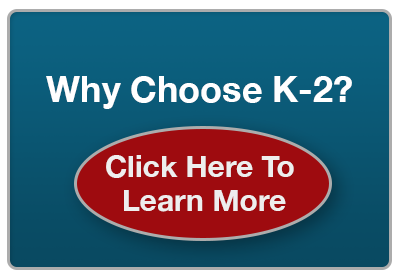 Over the years, K-2 Partners executive team members have served in a number of elected and voluntary Board and Committee positions with these organizations. We are recognized as industry authorities and regularly called upon as presenters or panelists at industry conferences and events around the world. Whether you are a current owner or a potential investor, take advantage of our knowledge, experience and relationships. Let us help you understand, unlock the full potential and capitalize on these dynamic business sectors.